This article originally appeared in the April 1, 1995 print issue of America. Part of what makes Holy Week holy is the solemn reading of two Gospel passion narratives, one from the first three Gospels on Passion (Palm) Sunday, and the one from John every year on Good Friday. It can be fairly claimed that these masterpieces have given more inspiration to artists, musicians, poets and mystics than any other sections of the New Testament. Ironically, however, such dramatic power makes sensitive Christians uneasy about anti-Jewish elements in the passion narratives. How can they be proclaimed without adding to the tragic history of their misuse against the Jewish people? Last year I brought out a very long commentary on the passion narratives, The Death of the Messiah (2 vols., Doubleday), the primary focus of which was the positive message that the evangelists wished to convey to their Christian hearers and readers. In it I gave considerable attention to the danger of anti-Judaism in our reactions, but here I want to concentrate on the evolution of anti-Judaism in New Testament thought about the passion to help us to understand how our oldest religious ancestors approached the death of Jesus. As we come to this Holy Week in the shadow of the 50th anniversary of the liberation of Auschwitz, I dedicate this essay to the struggle to appreciate the truth and beauty of the narratives without arousing hostility. In 1964 the Roman Pontifical Biblical Commission taught authoritatively that the Gospels are the product of considerable narrative, organizational and theological development and so are not simply literal accounts of the ministry of Jesus. The other view I judge unacceptable discredits the Gospel passion narratives as almost totally the product of Christian imagination, with little or no foundation in fact. 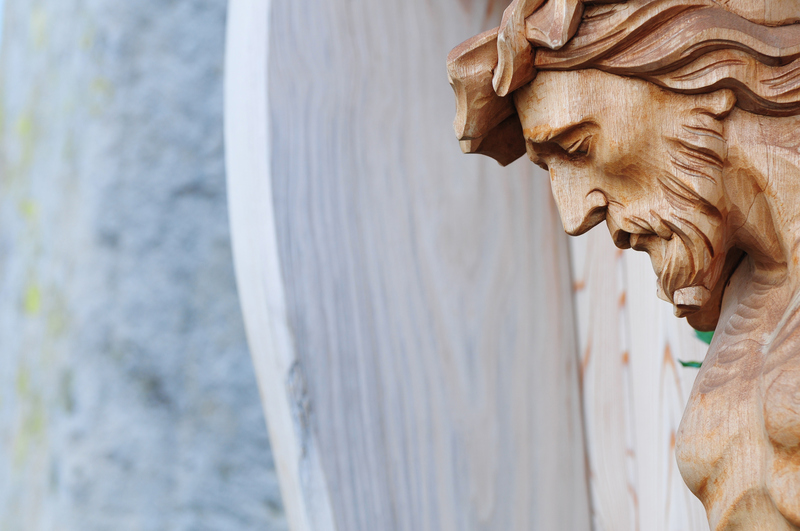 Under the mantle of scholarly objectivity, advocates assert firmly but without proof that the early Christians knew little about how Jesus died and simply invented their narratives on the basis of Old Testament imagery. Indeed, some scholars (of Christian upbringing) would paint them as creating lies precisely to vilify the Jews. If the literalist interpretation of the passion narratives can produce hate toward Judaism, this interpretation can have the effect of portraying Christianity as a false and hateful religion. Religiously sensitive Jews and Christians recognize that if either group of our respective first-century ancestors is presented as liars who wanted to destroy their opposites, nothing has been gained in the ongoing Jewish-Christian dialogue. A careful examination suggests that the situation in the first century was far more complex than such overly simple reconstructions allow. Let me attempt to do at least partial justice to the complexities by describing four stages in the development of New Testament attitudes toward the death of Jesus. Stage One: What happened in A.D. 30 or 33 when Jesus was executed on a cross. Without attempting to repeat all the evidence amassed in The Death of the Messiah, a very plausible case can be made for the following. Jesus upset and even alarmed some of his coreligionists by his attitudes toward some legal demands, his assumptions about his own unique teaching authority, his association with sinners and his critique of public practices that he regarded as meaningless religiosity. Rumors that he might be the Messiah (whether promoted by friends or opponents) caused tension. This came to a head when in Jerusalem he castigated and/or publicly acted out a critique of the Temple procedures and the sanctuary—a sensitive issue economically, socially and politically. A Sanhédrin or meeting involving the high priest and other important Jerusalem figures decided that he was a dangerous and arrogant (that is to say, blasphemous) nuisance and arranged for him to be seized and handed over to the Roman authorities. From Josephus’s description of what happened 30 years later to another man called Jesus (the son of Ananias), we learn how such an indictment might have worked. This other Jesus cried out a message against Jerusalem and the Temple sanctuary. By such behavior he provoked the leading citizens, who, thinking he was under some supernatural drive, had him beaten and led him before the Roman governor. The latter had him scourged, but he would not respond. (He was finally let go as a maniac but was killed in the siege of Jerusalem.) A combination of the Josephus accounts shows how exaggerated are the claims that the substance of the Gospel portrayals of the treatment of Jesus of Nazareth cannot be historical. Stage Two: Christians interpreted the passion of Jesus against a scriptural background. Neither the claim of wholesale invention nor the failure to recognize a creative rethinking does justice to what happened next. The New Testament is insistent that what befell Jesus matched what was found in the Law and the prophets. In particular the Old Testament portraits of how the just suffered at the bands of the wicked colored memories preserved by Jesus’ followers. The New Testament is insistent that what befell Jesus matched what was found in the Law and the prophets. Historically the motives of the authorities aligned against Jesus at the time of his execution were surely a mixture: genuine religious outrage at his actions and claims, worry about civic unrest, crass self-interest, fear of his provoking Roman intervention, and so on. But now a quest for what was theologically significant motivated simplification; those opposed to Jesus took on the biblical coloring of the wicked who plot against the innocent. For instance, in Wis. 2:17-21 the wicked contend that if the just one be the son of God, God will defend him; and they resolve to revile him and put him to death. The abuse and travail of Jesus take on the plaintive tones of the hymnist of Psalm 22 and the Suffering Servant of Is. 52-53. For his followers, Jesus’ sufferings cast light on such passages, which illumined the role of Jesus’ death in the plan of God. This stage of reflection on the passion was not anti-Jewish, any more than were the psalms or other biblical books that were mined for the imagery. After all, the just one, his admirers and the wicked opponents were all Jews. And the theological simplification of the opponents as wicked is a standard biblical portrayal, not a nefarious Christian falsification. Six hundred years before, not all who disagreed with Jeremiah’s policies for Judah were wicked; but the biblical account portrays them thus, simplifying their motives and dramatizing their actions. Indeed some of the most sensitive words in the passion of Jesus are found in Jeremiah 26. When, with God’s authority, Jeremiah threatened the destruction of the Temple, the priests and all the people heard him, and the priests and the prophets demanded his death. Jeremiah warned them that they were bringing innocent blood on Jerusalem and its citizens. Stage Three: The beginning of the use of “Jews” to describe one of the two groups arrayed against Jesus. As we can tell from Paul’s writings, a major factor in this stage was the conversion of Gentiles to the following of Jesus. The Apostle encountered hostility from synagogue authorities in his proclamation of the Gospel, as he indicates in 2 Cor. 11:24: (“From the Jews on five occasions I received the 39 lashes”), and so did his Gentile converts, according to Acts. Paul compared the enmity Christians were experiencing to that endured by Jesus, employing in 1 Th. 2; 14-15 (a passage that I firmly contend is genuine) a description of “the Jews who killed the Lord Jesus and the prophets and who persecuted us.” In itself that could be simply a distinguishing classification (the Jews, as distinct from the Romans, who had a role in Jesus” death); but the further assimilation to hostile Jewish authorities encountered both by Paul and his readers tells us that two decades after Jesus’ death his passion was entering into debates between Jews who did not accept Jesus and Jews and Gentiles who did. In the Gospel portrayals the mockery of Jesus by Roman soldiers is more brutal than that by Jewish authorities or police. How much anti-Judaism was involved in his use of “Jews” for the Jerusalem authorities who had a role in Jesus’ death? A number of factors governed the issue. For instance, how hostile was the experience of the readers or hearers with Jews who rejected the proclamation of Jesus? At this early period Christian Jews who used such language may at other times have been nostalgic about their Jewish heritage (as Paul was in Rom. 9:3-5). The same would not have been true of Gentile Christians; indeed they may have read into an expression like “the Jews who killed the Lord Jesus” prejudices against Jews stemming from their own Gentile background. Was equal hostility showed by Christians toward the Romans who had a role in the death of Jesus? It probably depended on whether Roman authority had harried the Christians. The psalm application in Acts 4:25-27 places in equal array against Jesus “Herod and Pontius Pilate, the Gentiles and the peoples of Israel.” In the Gospel portrayals the mockery of Jesus by Roman soldiers is more brutal than that by Jewish authorities or police. Paul’s phrase “the Jews who killed Jesus” was restrictive to one group of Jews; but before long such language would have been generalized, particularly as at different places at different moments the majority among the Christians who used it was not ethnically Jewish. More delicately, because of alienation (and at times expulsion) from synagogues, some ethnically Jewish Christians were no longer using the term “Jews” of themselves. That seems to be the case among some of the Christians reflected in the Gospels of John and Matthew. Accordingly, when a major role in the passion of Jesus was attributed to “the Jews,” the impression was now being given that another people (different from us Christians) was involved. When Mt. 27:25 was read (“All the people said, ‘His blood on us and on our children’”), that other people was taking on the responsibility for the death of Jesus. Indeed, the reference to “children” here and in Lk. 23:28 (“Daughters of Jerusalem...for yourselves weep and for your children”) suggests that the Roman defeat of the Jews and the destruction of the Jerusalem Temple in A.D. 70 were perceived as God’s punishment for having put Jesus to death. It is not surprising that Christians would make such a judgment, given that Josephus (Antiquities 20.8.5) gave an analogous theological explanation: God turned away from Jerusalem and allowed the Romans to burn the city because of hate for the impiety, murders and profanation among Jews there in the 50’s and 60’s. Some of the alleviating factors in Stage Three were now gone, and the parallel between “the Jews” who were hostile to Jesus and contemporary Jews who did not accept Jesus and were looked on as hostile to Christians became complete. (And one may guess that on the other side among some Jews a parallel was drawn between “that fellow” who caused trouble 40 or 50 years ago and the present troublemakers who were making blasphemous claims about him.) One catches elements of that connection in a passage like Mt. 28:12-15, where a lie that the disciples stole the body of Jesus, started through a bribe given by the chief priests and elders, “has been spread among Jews until this day.” If at this stage we can finally speak of anti-Judaism, notice that it had taken time to develop, was not intrinsic to the passion itself and reflects the unfriendly relationship between Christians (ethnically Jew or Gentile) and Jews who did not believe in Jesus. Stage Four was only the beginning of a long history; by the next century Christians would be accusing Jews of deicide (Melito of Sardis), and Jewish legends (reflected in the pagan Celsus’ attacks on Christianity) were portraying Jesus as a wicked magician and the illegitimate son of an adulteress. The effect of the hostile feelings became one-sided after the conversion of Constantine to Christ and the gaining of political power by Christians. This was the beginning of a tragic history that would see the oppression and persecution of Jews continue through the centuries, culminating horrendously in our own. Many non-Christian elements contributed to that history, particularly in the Nazi period; but often the passion narratives were read in a way that fueled hatred of Jews. In efforts to ensure that this never happen again, what I have contended above may serve well. The recognition that important Jewish figures in Jerusalem were hostile to Jesus and had a role in his death need not of itself have produced anti-Judaism, any more than the fact that the Jerusalem priests and prophets plotted Jeremiah’s death would produce such a result. The first Christian attempt to see theological significance in Jesus’ death by use of the scriptural portrayal of the just persecuted by the wicked did not of itself have an anti-Jewish tone. Anti-Judaism appeared when the death was interpreted through the optic of the then-existing bad relations between believers in Jesus (often no longer ethnically Jewish) and Jews who did not believe in him. Thank you for re-posting this., It's such a delight to re-read Ray Brown and know his work is still as profound now as it ever was. Raymond E. Brown, S.S. was an American Catholic priest, a member of the Sulpician Fathers and a prominent biblical scholar. A frequent contributor to America, he died in 1998.